Queen of Hearts Therapeutic Riding Center’s mission is to improve the bodies, minds, spirits, and quality of life of persons with physical and/or developmental disabilities and/or mental illnesses through equine-assisted activities and therapies. 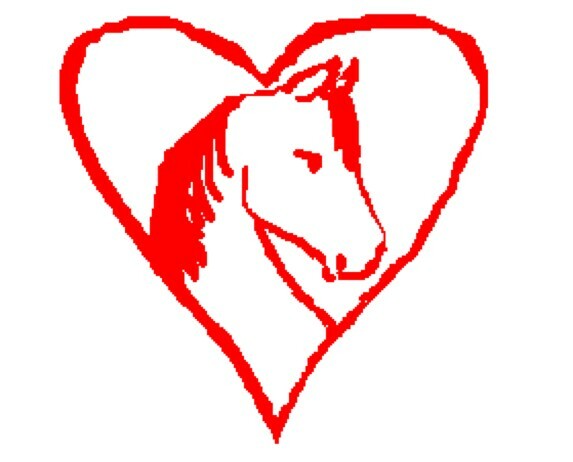 Queen of Hearts Therapeutic Riding Center’s vision is to be an inspiration and educational resource to the equine therapy profession and advocate for the healing and humane relationship between horses and humans. We also envision that no client will be turn away due to lack of funds. Students are usually referred to the Center by physicians, therapists, teachers, family members and friends. Our students are challenged by various disabling conditions including cerebral palsy, spina bifida, paraplegia, sight and hearing deficit, developmental and learning disabilities. Their ages range from preschool through the senior adult years. To accommodate the vast array of participant needs, an individual lesson plan is constructed for each student by the student’s therapist and/or the Center’s head instructor. Therefore, all participants are able to develop their strengths and overcome their weaknesses. For those students with physical challenges, the three-dimensional movement a rider experiences while astride the horse’s back provides a precise and repetitive pattern similar to the human walk. While walking, the horse’s center of gravity shifts forward and back, up and down, and side to side. The rider’s body responds to the motions with improved body symmetry and muscle tone, increased head and neck control, and learned balance. The horse’s movement also provides the rider with strong sensory input in the areas of the brain that registers touch and motion stimulation, making it an excellent therapy for persons needing these therapeutic benefits. Riding is also good for the cardiovascular system and provides the rider with aerobic strength. There are cognitive and psychological benefits from riding as well. The lesson formats encourage riders to plan and execute sequenced activities that help them improve their information processing abilities. Instructors use props, games and exercises, so individuals with cognitive disabilities can learn to perform more complex and difficult tasks on horseback. Many daily living skills and basic education objectives are incorporated into riding lessons. The Center offers a year-round program that includes group and individual riding lessons, equine-assisted therapies and other horse-related activities. 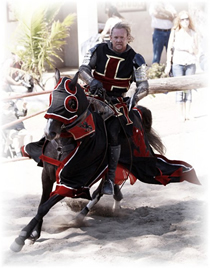 Queen of Hearts Therapeutic Riding Center began formally providing therapeutic riding lessons to children and adults in the Inland Empire in 2000 and obtained its 501(c)(3) tax exempt status in 2001 as a public charity. The therapy program was moved from the City of Riverside to Mira Loma (now known as Jurupa Valley) in 2005 and became a full-time equestrian center for people with disabilities in 2008. Therapeutic horseback riding has been proven to improve self-confidence, physical fitness, cognitive thinking, balance, and self esteem. As the walking gait of the horse duplicates the three-dimensional movement of the human gait at the walk, riders who have difficulty walking or who are unable to walk without assistance, are gently moved as if they are walking. Sitting astride a walking horse for 30 – 45 minutes can improve balance, and the effort taken to stabilize on a mobile platform improves core and trunk strength, which also improves balance. Those with brain injuries may work on controlling impulsive behaviors, or remembering sequential activities by participating in a simple reining pattern or obstacle course. Imagine being an adult and only 4’2″ tall, your likely height if you are in a wheelchair; now imagine being 8′ tall, looking down on your friends and seeing the world from the back of a gentle horse. Imagine being a child who is pushed along in a wheelchair or propels herself; and then suddenly you gain the freedom to walk, trot or canter in any direction you wish with an obedient horse functioning as your legs and strength. These feelings are unimaginable to able-bodied persons, but for us at Queen of Hearts Therapeutic Riding Center, Inc. they are everyday miracles. 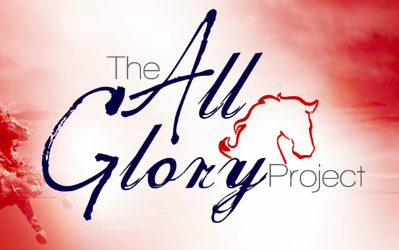 In 2009, Queen of Hearts proudly announced its Equine Services for Heroes program – which is specifically designed to work with the needs of wounded veterans and first responders. The veterans that we offer services to come to us with a variety of issues that can be addressed with equine-assisted activities so many of our sessions may include riding lessons combined with horsemanship skills that emphasizes using those skills to address behavioral or physical disabilities. We understand the importance of having volunteers with military or first responder backgrounds so our clients are surrounded by people that have a better understanding of the hero’s experiences and feelings regarding his/her challenges. In 2011, Queen of Hearts expanded to include unmounted equine-facilitated psychotherapy and learning by partnering with mental health professionals and equine specialists certified in the EAGALA method of therapy. The accepting nature and biddable personality of the therapy horse encourages participants to test the limits of their abilities and learn to make good choices under the guidance of qualified therapy instructors. Licensed counselors guide families as they learn how to connect or reconnect through metaphorical activities with horses. Corporations and organizations grow as they progress through team building and leadership activities. Queen of Hearts volunteer program enables adult volunteers to work directly with the youth in the community by introducing them to a whole new world of horses. We provide a safe and structured work environment and set high expectations in accordance with the youth’s age, skill level and developmental maturity. We provide training and support for them to successfully complete their tasks. We provide a variety of learning opportunities for skill development such as equine management, office skills, and how to work and deal with the public and those with disabilities. Many of the youth that comes to Queen of Hearts are often those who need community service hours for high school or college and some are referred through at-risk programs or workforce development centers. You can be added to this page … click here for our Donate page!